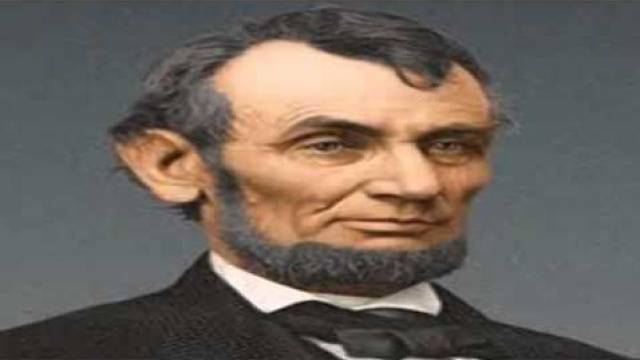 If you turn the pages of political history of America, you will find a person who is clearly different from all others and attracts the attention of everyone, till date, - Abraham Lincoln the ‘Honest Abe’, was the sixteenth President of the United States. He was born on February 12, 1809, in Hodgenville, a city of Kentucky in the United States. Abraham Lincoln was elected as the 16th President of the United States on November 6, 1860. He was a clever politician and a skilled lawyer. He played an important role in the unification of states and led the front to end the slavery from the country. Under his leadership, the American people were given equal rights, whether they belong to any race, color or race. People of America referred to him as ‘Honest Abe’ or ‘Father Abraham’. Under his leadership, a democratic government was formed in America, which was led by the concept of ‘Government: by the people, of the people and for the people’. Since 1940s till today, he has retained a spot in the top three Presidents of the world. Sir Abraham Lincoln was a hardworking man. Through his consistent efforts, he became one of the richest men in the country. He was respected and honored by one and all. He was the first US President to be assassinated. He is the only president to have a patent to his name. As a young man, Lincoln worked a variety of jobs including shopkeeper, surveyor, and postmaster. Because of Lincoln, a date was specified for celebrating Thanksgiving Day. He declared the final Thursday in the month of November as Thanksgiving Day. "I am a slow walker, but I never walk back." "When you reach the end of your rope, tie a knot and hang on."